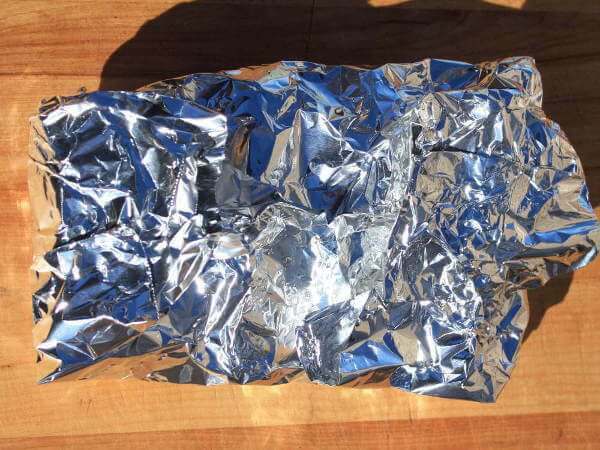 Wrapping Briskets In Foil: Is it Right or Is it Wrong? I need an opinion about using foil when smoking briskets. Do you suggest wrapping a beef brisket in foil to speed up the cooking? How long should I smoke it before I wrap it? What should the internal temperature be when the brisket is done? Is 190 degrees the internal temperature I should be shooting for? A brisket wrapped in foil will cook faster. I suggest smoking the brisket for four hours unwrapped, then double wrapping it in heavy duty foil. Be careful not to tear a hole in the foil, and keep the seams facing upward. You want the foil package to retain the brisket juices. Continue cooking the wrapped brisket until the internal temperature reaches 190 to 200 degrees Fahrenheit. Remove the brisket from the smoker and place it in a cooler to rest for at least one hour, or better yet, two or three hours. During this time, the juices will re-absorb into the meat, creating a moist and flavorful brisket. In a perfect world, and in a perfect smoker you probably wouldn't use foil to wrap a brisket. You do miss out on the wonderful bark that forms on a brisket that is never wrapped with foil. Is is wrong? You decide...I'm just offering options here. It's not wrong to wrap brisket in foil. The foil prevents evaporation, which is the cause of the temperature stalling partway through the cooking. Some use uncoated butchers paper instead of foil, and it has its benefits. It allows a small bit of moisture to pass, preventing the bark from softening up too much.